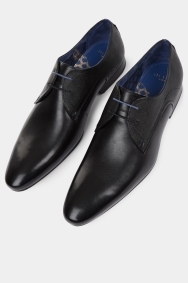 For true sophistication, turn to these Ted Baker Derby shoes. 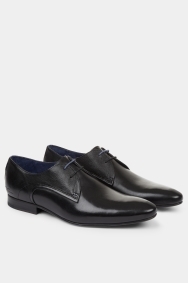 In timeless black, they’re a versatile choice that can be worn anywhere from weddings to work, yet the optional contrasting laces add an on-trend edge. They’ll stay looking sharp no matter how many times you wear them thanks to their leather uppers and rubber soles. 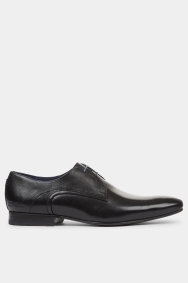 Wear with a slim fit black tuxedo and daring textured shirt to impress at formal events.